5 Reasons Why Brocade Blouses Are Here To Steal The Show! 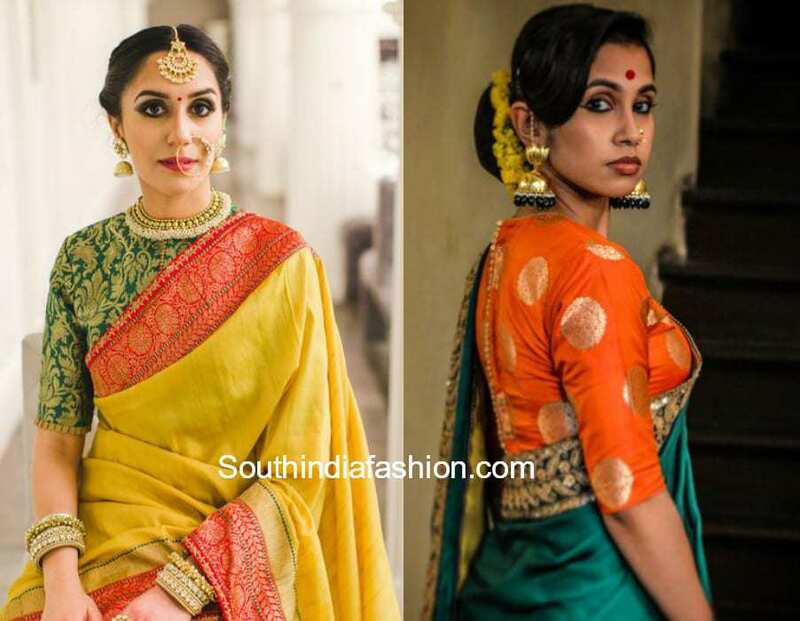 What makes a saree stand out from the crowd? Of course it is the drape, the embroidery, the style of the saree and so on. 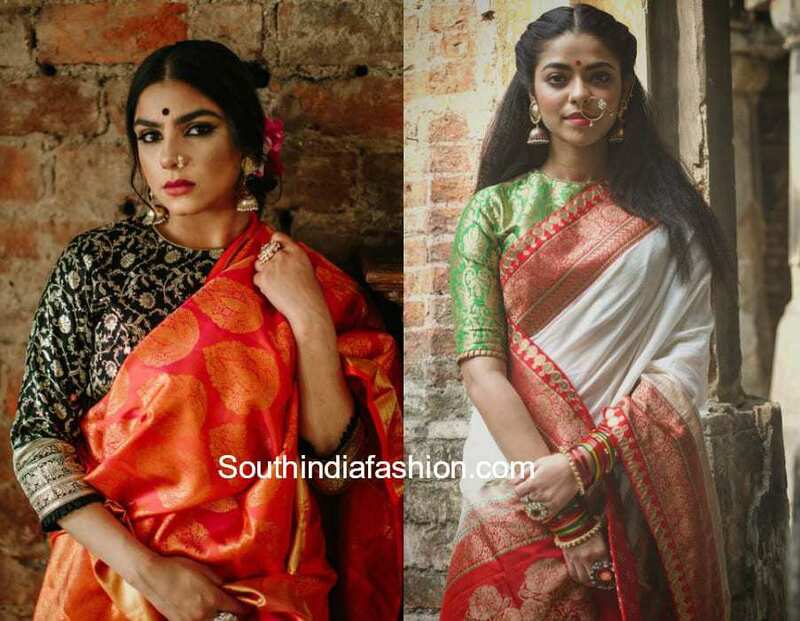 But what’s the game changer in a saree look? Undoubtedly, the saree blouse! 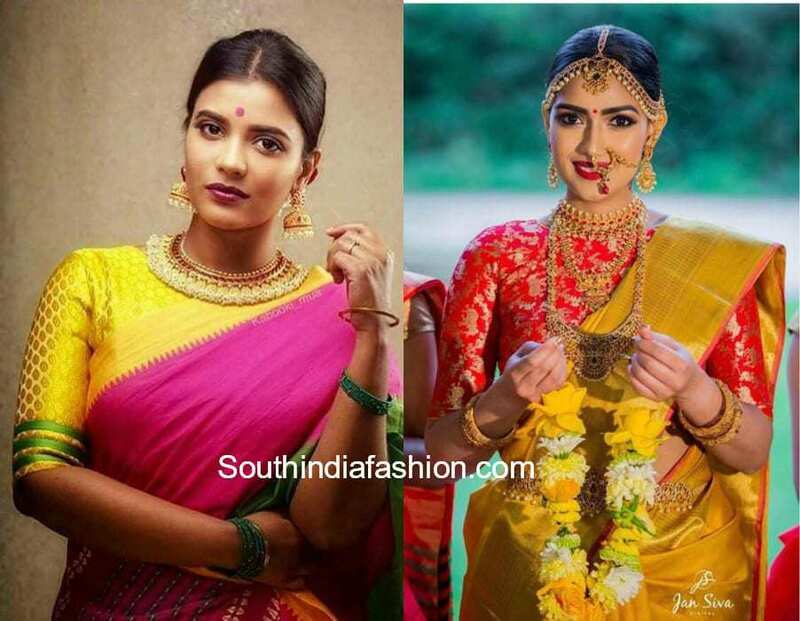 The saree blouse can transform anyone’s personality and the entire saree look depends on the type of blouse that you choose to wear. 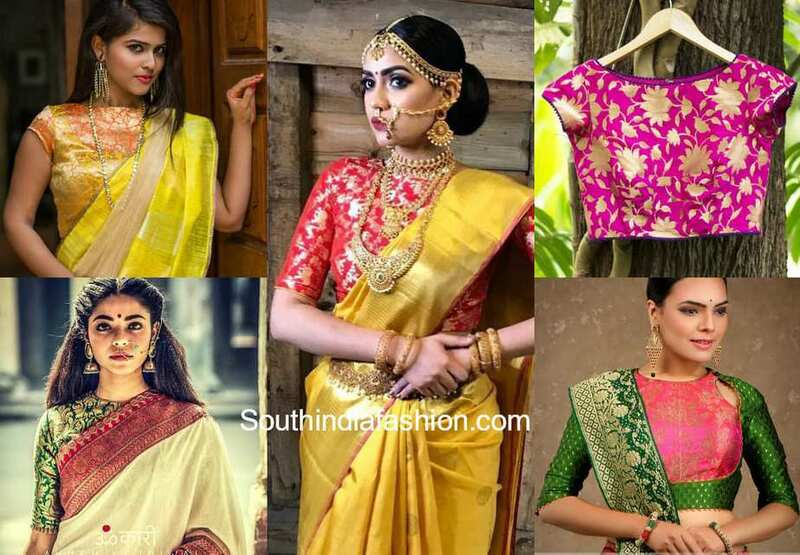 In today’s fashion scene, there are endless saree blouse designs with numerous different ways to enhance them but sometimes even the most complicated patterns, embroidery and designs cannot compete with the classic brocade blouse. Read more to know why the brocade blouses are here to stay. The royal brocade fabrics are most comfortable to wear and they of course add the right amount of dressiness to your saree look. They look equally rich even when they are plain without any embroidery or pattern detailing. Be it sleeveless, full sleeves, elbow sleeves or half sleeves, even the simplest brocade blouses will make you feel like a queen. From every age group to every occasion, the brocade blouses are super versatile and a timeless classic. A classic brocade blouse will instantly allow you to mix and match with many different sarees thus making it a definite wardrobe must have. Brocade blouses allow you to go easy on your accessorizing. You can go bold or keep it subtle and you will still not look over or under dressed for any occasion. Brocades come in a variety of vibrant hues and the Indian colors can be easily contrasted with many different sarees. You could opt for a contrast or simply match it up and make a statement with the texture of the fabric. The brocade blouses never go out of style and are trending forever. So if you are looking to invest in classics, then the brocades are a wise choice. 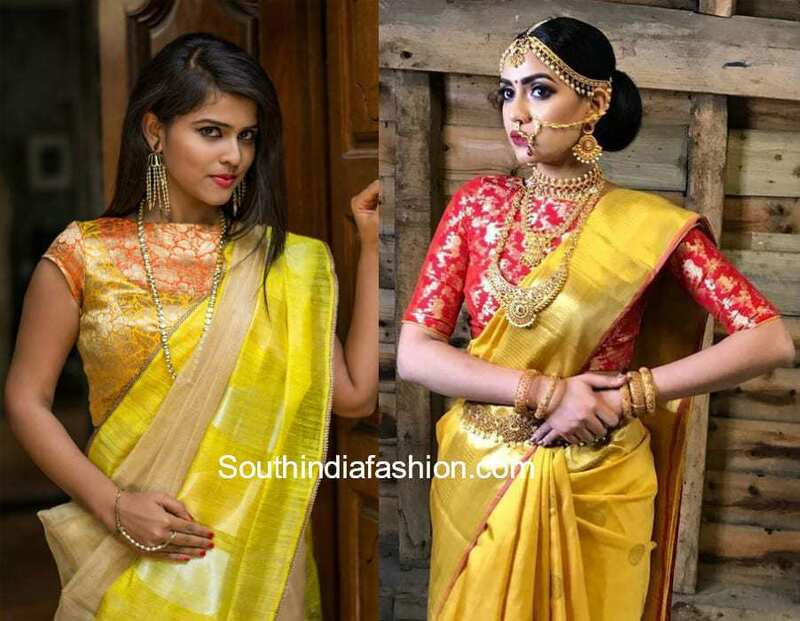 You could wear them to literally every occasion like weddings and festivities and whether you are a bridesmaid, wedding invitee or even a bride, the classic brocades will definitely work with your royal saree look. 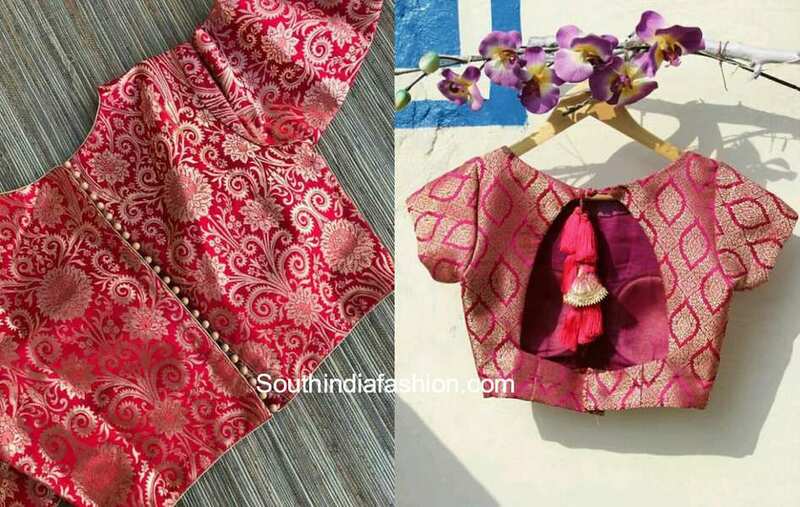 SHOP READY MADE BROCADE BLOUSES ONLINE HERE!